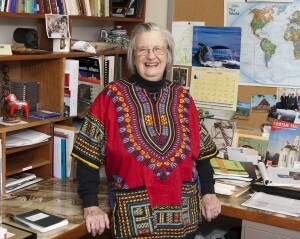 Last week we heard the sad news that Professor Elinor Ostrom has died. Her profound contributions to scholarship have been told often enough (Elinor Ostrom’s obituary) since she became the first woman and the first political scientist ever to receive the Nobel Prize for Economics. Lin was a friend of SAGE in general, and of Sara our founder in particular, since she first published books with us over 35 years ago (such as Strategies of Political Inquiry in 1982) and later co-founded our Journal of Theoretical Politics, (the first journal I ever worked on when I joined SAGE in 1989). The journal has for the last year instituted an Elinor Ostrom Prize which was won last year by John Wright. We at SAGE are doing what we can to resist this move in particular and to celebrate the social sciences more generally at a time when confusion and ignorance about social science research are rife. The ‘letter to your Senator’ signed by our CEO Blaise Simqu is one example. More generally Socialsciencespace, Social Science Bites, SAGE Open, our work with learned societies and major social science umbrella bodies such as the AcSS, the British Academy, CASBS the AAS and FABBS as well as a slew of workshops and public lectures we hope will do something to reverse this trend, and to honour the work of Professor Ostrom’s and countless social scientists around the world. This entry was posted in Industry news, SAGE Connection, SAGE news and tagged Elinor Ostrom, Ziyad Marar. Bookmark the permalink.